Call of Duty in 2014 got off to a flying start with the first UMG event of the year. A record turn out saw more than one hundred North American Ghosts players descend upon chilly Philly. Last time out the absence of the World’s best team, Complexity, left the UMG title wide upon. Eventually it was two Scuf Gaming teams that battled it out in the grand final; Vanquish and SoaR. Despite SoaR taking a one series lead into the final, it was Vanquish who prevailed and took home the UMG Dallas Championship. Fast-forward several months and another UMG title was on the line. This time around all the big hitters were present. Complexity, the current World #1, had been unable to defend their UMG title in Dallas due to lack of attendance and were therefore gunning to regain number one spot. There are no easy rides in Call of Duty and as always, they would have to take down the best of the best, including Scuf Gaming sponsored teams Optic Gaming, EnVyUS, CurseLV, Team Kaliber and travelling Englishmen, Team Orbit. Many fans believe that Scuf Gaming sponsored Faze should have beaten the World #1 team but Complexity dug deep and took a tight series 4-3 in only their second round of competition. After that it was business as usual as Complexity bagged their place in yet another Grand Final. The top three was rounded out by CurseLV and Team Kaliber who battled it out for the chance to take on Complexity for the UMG Philadelphia title. The Loser Bracket Final was less of a close affair, with Team Kaliber sweeping the series and guaranteeing them at least second place. Despite taking the first map, Team Kaliber were beaten 3-1 in the Grand Final, meaning Complexity were once again crowned Champions. As always you can buy our Pro team controllers, including Complexity, Team Kaliber, Optic Gaming and EnVyUS, with the Scuf Gaming Curse controller coming soon. Scuf Gaming would like to congratulate Complexity on yet another tournament victory, as well as UMG for another successful event. We hope to see you all at the next UMG. An incredibly year of Call of Duty has come to conclusion. 2013 has been shared by two titles, Black Ops 2 and Ghosts, and to some extent, two teams, with Impact and Complexity both scooping the majority of the major honors during the calendar year. Now we’re going to take a look back at the highlights of 2013 and how Scuf Gaming’s Pro teams performed at the major international events. The first month of the year was a quiet one, with neither side of the Atlantic enjoying any events. The month was dedicated to honing ones skills and getting ready for the season ahead. The first and only event of February took place in Europe. The long running, SCUF sponsored Dutch event, ReflexGT, kicked off the year with their largest event to date. Gamers from throughout Europe headed to the Dutch capital to take part in ReflexGT Winter 2013. With a number of SCUF sponsored Pro teams in attendance, the eventual winners were Fariko.Allstars. The Dutch foursome bagged their first ever tournament title after a string of runner up placements. This was to be the first of many titles to be taken home by the Fariko organization in the first part of 2013. March was when the year truly got under way. Not only did we have the next installment of the longest running Call of Duty LAN series, EGL9, but we also had the North American and European legs of the Call of Duty Championships. MLG Dallas played host to the North American qualifiers for the Call of Duty Championship Finals. Every team worth their salt in the NA scene descended upon Texas for a shot at qualification for the World Finals. Scuf Gaming Pro teams like Optic Gaming, EnVyUS and more were all in attendance. Eventually, it was a new team who booked took first place in clinical fashion. 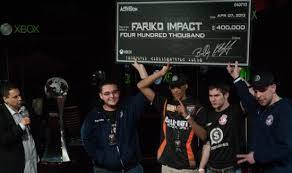 Fariko.Impact dominated the tournament from start to finish and rightfully qualified as winners for the World Finals. At the other side of the Atlantic, European teams were facing off for their chance to qualify for the World Finals. Once again, Scuf Gaming sponsored teams were among the winners, with Fariko.Allstars qualifying as Dutch Champions, Fariko.Dragons qualifying as British Champions and Pain Gaming qualifying as Spanish Champions. With passage sealed to the Grand Final, the teams were left to face off for the European title. Eventually SCUF sponsored Fariko.Dragons, representing the UK, fell just short of victory in the Grand Final against UniTE. Another all European affair was the next stop on the tournament agenda. This time around it was Multiplay’s Insomnia 48, primarily a stomping ground for the top British talent. A new look Prophecy side asserted their dominance on their debut performance, continued their Insomnia success streak and added yet another tournament title to add to their collection. The Scuf Gaming sponsored team had come into the tournament amidst high expectations and successfully delivered. The month was certainly not over yet, though. Next on the March agenda was EGL9 Blackpool. After an absolute thriller last time out, TCM Gaming walked out as champions after beating Scuf Gaming sponsored Optic Gaming in the Grand Final. This time around it was another SCUF sponsored North American team who would grab the headlines. After scooping the MLG title, Impact headed to Europe to compete at EGL9 in an effort to pick up vital experience before the all important $1M competition in Los Angeles. While slightly less dominant than their MLG campaign, Impact once again tore apart the competition and walked out worthy winners. The eventual top six teams included three SCUF Pro teams. The final stop of the month was a return to the Midlands of England for another installment of Multiplay’s Insomnia series. Scuf Gaming sponsored team, Prophecy, have frequently picked up first place at this tournament and Insomnia 48 was once again a happy hunting ground. Prophecy swept aside a tough field including Cloud (later Epsilon) and TCM Gaming on their way to victory. A good end to March. April was the biggest month of Call of Duty of 2013, if not ever. While the Call of Duty Championship World Finals was the second time $1M was given away as a prize, this was the first time it was given away on a game where the teams had had chance to practice. As a result we had an extremely intense tournament, contested by most of the world’s best teams from all four corners of the globe. The result was electric, with some of the most memorably Call of Duty ever being played during that weekend. When the dust had settled, the title was to be contested between three of Scuf Gaming’s sponsored Pro teams; Optic Gaming, EnVyUS and Fariko.Impact. Eventually Impact managed to fight their way through the Loser Bracket and in a nail biting finale, they brushed off EnVyUS and took home the title. Fariko.Impact were the new world champions. Remember, you can still play like your favorite Pros. Find all of Scuf Gaming’s Pro controller range in our shop. The month was rounded off with a turn back to normality. St. Louis played host to another installment of UMG. Impact were looking to make it four events in four in quick success and riding the wave of their earlier successes, they once again pipped SCUF sponsored rivals, EnVyUS at the final hurdle and took home yet another LAN title. The start of Black Ops 2 belonged to Fariko.Impact. In the space of little under two months they scooped four major titles and will be remembered as one of the most successful teams in Call of Duty history. May was to be a month of relaxation. The calm before the storm. With Impact still high off their earlier victories, people were beginning to believe they were unstoppable. The tides were beginning to turn, however, with June being the start of a new Call of Duty legacy by yet another Scuf Gaming sponsored team. In Europe, May saw SkyLAN take place in the French capital, Paris. Many of France’s top teams head to the capital, as well as a handful of UK and European teams. Scuf Gaming sponsored Pro team, Fariko.Allstars tested their new look line up in France, eventually placing second behind Epsilon Gaming. When MLG came back around, there was one name on people’s lips and that was Impact. 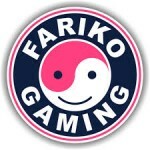 Having recently departed from Fariko, the Impact team were expected to do the business once again at MLG, just as they had a few months earlier. A new challenger was in their way though. Complexity, yet another Pro team to wield the Scuf Gaming controller, were boasting a new look line up and were ready for a fight. The event saw a number of huge upsets, including early defeats by some of the biggest names in North American Call of Duty, yet the biggest upset was reserved for the final. Impact, looking unlike their former selves, were brushed aside by Complexity. New champions were crowned. 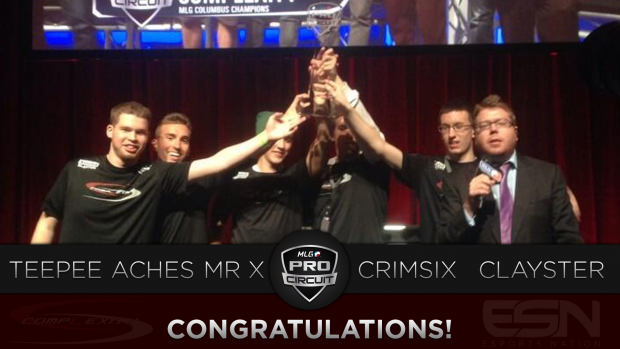 Complexity were your MLG Anaheim champions, beginning a new era of Call of Duty internationally. You can purchase the Complexity controller from the Scuf Gaming shop right now! June also saw Dreamhack Spain take place in Valencia, where Epsilon of the UK eventually beat TCM Gaming in the Grand Final to take home first place. July was the start of a brand new event in Europe. Gfinity was the first of its type, an invitational event, run by someone other than Activision and held outside of North America. Boasting a roster of teams arguably more impressive than that of the Call of Duty Championships, Gfinity 1 proved to be one hell of an event. The finale was also set to be the rematch between Complexity and Impact. The game that everyone wanted to see after the Anaheim upset. With a Grand Final billing almost destined to be, unfortunately the two teams met in the Semi Final and once again, Complexity looked a class apart. Complexity eventually faced TCM Gaming in the Grand Final; a game they won with relative ease. Complexity had won back to back tournaments. Gfinity 1 was to be Impact’s final tournament as a team. Complexity were the new Call of Duty kings. You can play like Complexity by buying their controller from our website. August was another full calendar of Call of Duty. Three events – two in Europe and one in North America – took place, with three different winners sharing the glory. In Europe, teams competed in the UK’s two longest running events, EGL and Insomnia. At the other side of the Atlantic, UMG took place on the same weekend as EGL10, this time held in Atlanta. UMG Atlanta proved to be yet another sell out event. Riding high off two event victories, the unchanged Complexity quartet proved they had the consistency and staying power to remain ahead of the competition. Despite a number of new look sides throughout the North America scene, the unchanged Complexity exerted their dominance and bagged their third back to back title. This was now three in three for Complexity, having taken home MLG Anaheim, G1 and UMG Atlanta. Meanwhile in the UK, Scuf Gaming’s latest Pro team, Infused, were carving their own path to victory. Many fans were shocked when the new Infused team knocked out their fellow countrymen, Prophecy on the way to the final. SCUF sponsored, Aware Gaming, put in a particularly impressive performance as they bagged third place, losing narrowly to Frenchmen, Millenium for a place in the Grand Final. Infused were simply unstoppable during the weekend and the SCUF men won their first tournament as a team in commanding fashion. Insomnia 49 was not surprisingly won by Scuf Gaming’s flagship UK team, Prophecy. The boys from Prophecy bagged their second Insomnia title of the year and their fourth overall. Despite being far from best the weekend before, a single team change catalysed the Prophecy team and saw them run over everyone in their path on their way to the Insomnia 49 title. 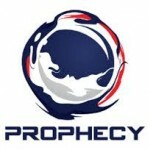 Prophecy also retained their title as the most successful Insomnia Call of Duty team ever. Another great event from the Scuf Gaming sponsored team. You can buy the Scuf Gaming Prophecy controller now in our shop. Going into the final quarter of the year, September offered a much needed rest for the unrelenting Call of Duty event schedule for most teams. An invitational only even took place at PAX Prime, as run by Scuf Gaming partner organizer, Major League Gaming. A number of Scuf Gaming sponsored Pro teams competed including Complexity, who eventually took home 2nd place. 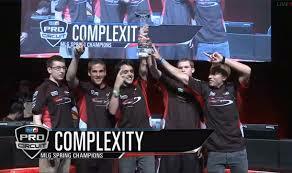 This was the first and only time the Complexity line up was beaten after winning at MLG Anaheim in the summer. October was one of the biggest months of Call of Duty of the entire year. Gfinity made its return for their second event, arguably the most competitive tournament of Black Ops 2. The event saw a return to their invite only format, extended to a number of other US and European teams. In total seven Scuf Gaming sponsored Pro teams placed in the top 12 placements, with three of the top four teams being SCUF Pros. Not surprisingly, Complexity walked away with the crown, beating British foursome, Epsilon, in the final. Team Kaliber saw off EnVyUS for third place. Gfinity 2 was a huge success and a great tournament for the SCUF sponsored Pro teams, further proving the caliber of our top players. You can buy any of our Pro team controllers, including Team Kaliber, EnVyUS and Gfinity 2 champions, Complexity, in our shop. UMG Dallas and MLG Full Sail took place on the same weekend and were the next stop on the Call of Duty agenda. With Complexity heading to compete at MLG Full Sail, the floor was open to a new champion at UMG Dallas. Once again it was a Scuf Gaming team who took first place. This time around it was Vanquish who beat their opponents on the way to victory. Their 6-2 victory in the Grand Final over fellow SCUF team, SoaR, saw VQ scoop their first event title and become the champions of UMG Dallas. Meanwhile at MLG Full Sail, Complexity were en route to yet another event title. Full Sail saw a return to form for Optic Gaming, who, having reached the final, couldn’t quite overcome Complexity. Scuf Gaming sponsored FaZe were in attendance and eventually placed 4th place after losing the battle for third place against UniTE. A good weekend for SCUF sponsored Pro players and further evidence of Complexity’s sheer dominance. Complexity, Optic Gaming and FaZe controllers are all available in the SCUF store. The final event of the month took us to London, England, for the final EGL event of the year. Infused were looking to defend their crown and become the first UK team to win back to back EGL titles. Infused were flying the flag for Scuf Gaming as the only sponsored team in attendance and delivered with great success, battling through the Loser Bracket to set up a Grand Final rematch against Epsilon. It was here that they overturned a deficit to take home the title of EGL11. Infused Gaming became the first team to win back to back European Gaming League events since Optic Gaming first achieved the feat back on Black Ops. November was upon us and spelled the end of Black Ops 2. The last ever tournament was set to be the Electronic Sports World Cup in Paris, France. A fitting send off for possibly the greatest game in the Call of Duty series to date. Thousands of rowdy fans turned out to cheer on their favorite teams and players. Once again a host of Scuf Gaming sponsored teams were in attendance, including Aware Gaming, Infused Gaming and tournament favorites, Complexity. Complexity once again lived up to their billing, taking home first place in triumphant fashion. Complexity finished the Black Ops 2 season as the most successful team to grace the game (at least in terms of event titles), having won MLG Anaheim, G1, UMG Atlanta, G2, MLG Full Sail and ESWC. Remember, you can play like Complexity by purchasing their Pro controller from the Scuf Gaming store. MLG Columbus marked a new era in Call of Duty. The first big tournament for Call of Duty: Ghosts and the first chance for fans to see the new spectator modes added to the game. Once again the event was brimming with Call of Duty talent, with every Scuf Gaming sponsored Pro team in North America in attendance. While the event threw up some surprise results, it was a group of familiar faces that bagged the title. Just as they had done in the summer of 2013, Complexity walked out eventual winners after an extremely close showdown with fellow SCUF Pros, Team Kaliber. MLG Columbus was a huge success, despite being held so close to the release of the new title. Blitz also proved to be a fan favorite, offering some of the most exciting Call of Duty action of the event. Insomnia 50 in the UK was the final event of the year. TCM Gaming eventually took home first place among a very competitive pack that featured UK Pro team, Infused Gaming. Traditionally December is a quiet month in eSports, with the only big Call of Duty tournament eventually being cancelled. Scuf Gaming would like to congratulate all of our Pro teams and players on an extremely successful 2013 season. We hope to continue to build our partnerships going into 2014 on Call of Duty: Ghosts. Who knows what the future holds. 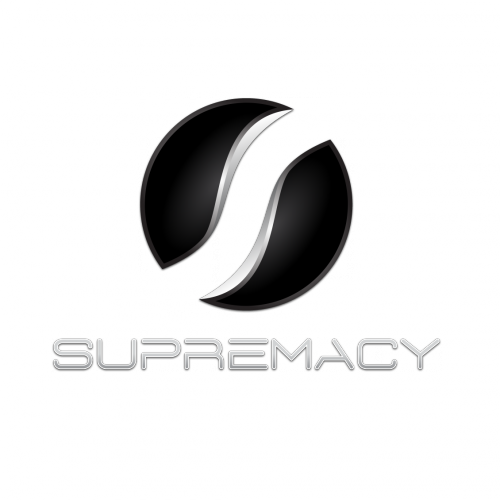 Scuf Gaming is delighted to announce a partnership with one of France’s finest teams, Supremacy. Team Supremacy have been one of the top French team for years and they’ve collected a number of titles including a recent win at Skylan ESWC, the title of ESWC French vice-champion as well as a spot in the top8 ESWC teams. Composing of players that have been competing at the highest level for years, this team is both experienced and stable. Outside being one of the best competing teams in their homeland country, Supremacy is also a successful clan of Call of Duty Elite since Modern Warfare 3. Last weekend marked the first MLG of the new Call of Duty season. With 108 teams from around the globe heading to Columbus, Ohio to compete for the title of MLG Columbus champion. Columbus was also the first opportunity for Call of Duty fans to see Infinity Ward’s answer to the CoDCaster mode, made popular during the reign of Black Ops 2, along with new game modes like Blitz that had found their way into the play list. Scuf Gaming were also on site as one of the event’s sponsors, with an exhibition both for fans to test out the latest Scuf Gaming products and purchase them over the course of the weekend. The event wasn’t without its surprises, with Optic Gaming having a rough ride in the first event of Ghosts. Other Scuf Gaming sponsored teams, Team EnVyUS, Team Kaliber and Complexity all fared better, with EnVyUS eventually settling for a fourth place finish, a marked improvement from only a few months ago. The final was eventually contested between the world #1, Complexity and Gfinity third place finishers, Team Kaliber. The Grand Final was an epic affair and could have gone either way. Once again the boys of Complexity were able to dig deep when it mattered, though, and Clayster, Crimsix, Teepee and Aches helped themselves to their fourth consecutive event title; with G2, MLG Fall Invitational and ESWC preceding Columbus. Complexity have now equalled the record breaking four successive titles set by Impact during the early stages of Black Ops 2, While also using Scuf Gaming controllers. You can purchase the controllers used by Complexity, Team Kaliber, EnVyUS, Optic Gaming and others by clicking here >. Our Pro Gaming section features our range of branded team controllers. You can now play like your favorite pros and maybe you’ll be the next player to achieve MLG glory. Scuf Gaming would like to congratulate all the success Scuf Gaming sponsored pro players this weekend. As always, we’ll see you next time.